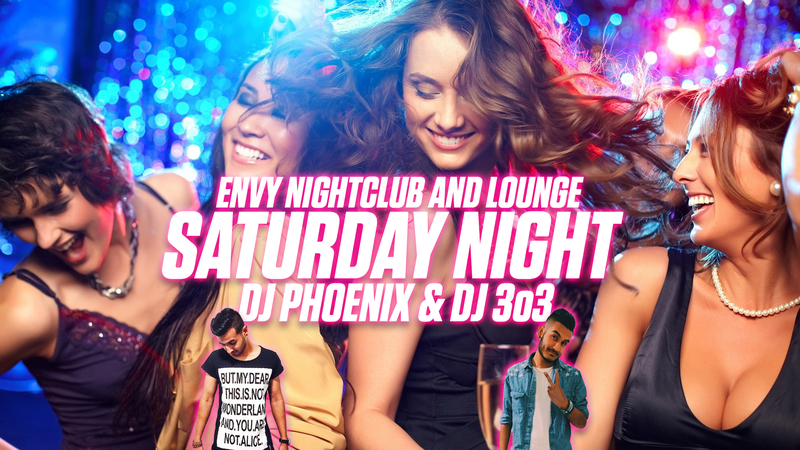 Get ready to party this Saturday night at Envy Nightclub and Lounge with DJ Phoenix and DJ 3o3 and dance to the hottest EDM, House, Top 40, Dance mixes and remixes! Is it your birthday or a friends birthday? Call us at 1 (702) 346-9000 and we’ll hook you up! 21+ Event w/ Valid I.D.